Salem, MO─ March 27, 2018 Local business I Can Too Learning Center has been named a winner of The 2018 American Small Business Championship by SCORE, the nation’s largest network of volunteer, expert business mentors. 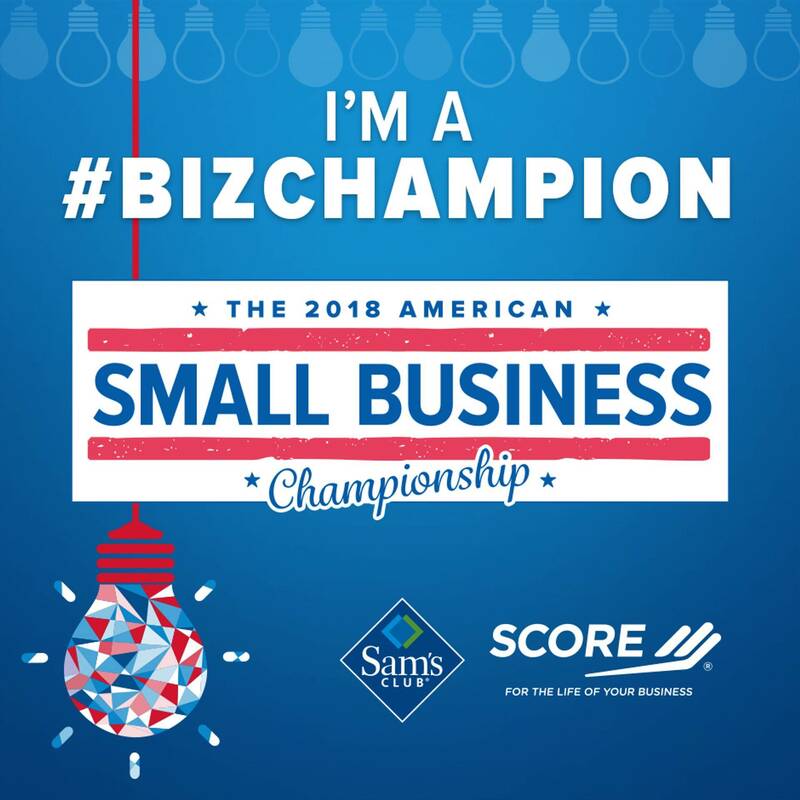 The Championship awarded this title to 102 entrepreneurs for their dedication to the success of their small businesses, awarding them an all-expense-paid trip to a training and networking event, SCORE mentoring and publicity throughout the year, and a chance to win one of three $15,000 grand prizes, made possible with the support of Sam’s Club. Eight years ago, Nancy Major, a local school teacher decided to provide preschool and tutoring services for the children who fell between the gaps. There wasn’t a preschool program available in Salem for her son to attend because of income and academic guidelines, additionally the federal government had taken the ability for schools to offer tutoring away from the school districts. The original programing that opened I Can Too met the needs of both preschool and tutoring. Two years later, the tutoring program by the federal government was dissolved so I Can Too needed to change in order to stay open. I Can Too applied for a state license and after much remodel, inspection, and money, the Learning Center was licensed on the state level. This put the tutoring back at the schools, so preschool was the only thing left at I Can Too. It was not enough to keep the doors open so after asking the people of Salem what they needed, she made some changes. I Can Too started new programs which included: watching children from birth through age 12, before and after school programs, full day preschool, part day preschool, state assistance programs for foster children as well as those who qualify for daycare assistance, and even a summer camp program. Today, the business is prospering, providing 18 vital jobs in the local community, and giving back to local organizations through donations and volunteering. “We are so grateful to receive this recognition for the obstacles we have overcome as a small business. Thank you to our wonderful community both locally and online for supporting us and helping us succeed. This would not have been possible without you,” says Nancy Major owner of I Can Too Learning Center. I Can Too Learning Center is also eligible to win one of three additional $15,000 grand prizes, by being named Grand Champion. A judging panel of small business experts will select three Grand Champion from the group of small business champions this summer. Selection will be based on how effectively Champions utilize their prizes to grow business revenue or operations, as well as how effectively the winners promoted the Championship in the media and social media. Since 1964, SCORE has helped more than 10 million aspiring entrepreneurs. Each year, SCORE's 10,000 volunteer business experts provide 450,000+ free small business mentoring sessions, workshops and educational services to clients in 300 chapters nationwide. In 2017, SCORE volunteers provided 3.6+ million hours to help create more than 54,000 small businesses and 116,000 full-time, part-time, owner and contractor jobs. For more information about starting or operating a small business, visit SCORE at www.score.org. Follow @SCOREMentors on Facebook and Twitter for the latest small business news and updates.